When countries around the world ratified the Paris Climate Agreement in 2016, they pledged to prevent average global temperatures from rising to a level more than 2 degrees Celsius, or 3.7 degrees Fahrenheit, above pre-industrial levels. They picked that number because 2 degrees Celsius is the point at which climate models start going haywire, but they also asked the Intergovernmental Panel on Climate Change, or IPCC, to review all of the available research and tell us what we'd have to do to keep that rise below 1.5 degrees Celsius, or 2.7 degrees Fahrenheit, which is the point at which feedback loops like melting tundras and increased water vapor make the 2-degree increase all but inevitable. Scientists from around the world spent the last two years reviewing over 6,000 scientific papers and mapping out different pathways to the 1.5-degree target -- from paths that focus primarily on reducing energy demand to those that focus primarily on expanding carbon sinks that pull greenhouse gasses out of the atmosphere. 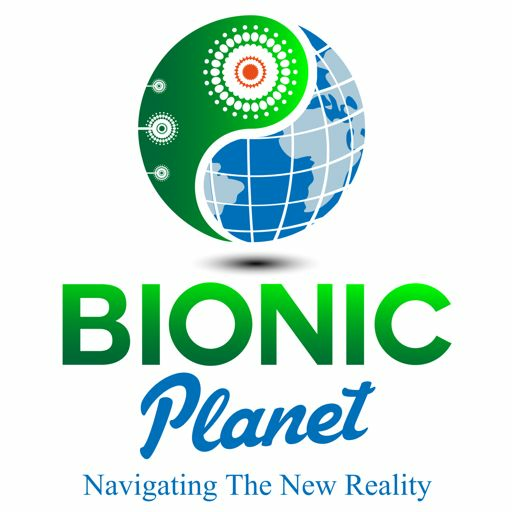 One of those carbon sinks is the one that I cover on Bionic Planet -- namely, natural climate solutions that work by improving the way we manage our forests, farms and fields. The other is next-generation carbon capture and storage, involving new technologies that either don't yet exist or exist but cost a fortune to deploy. On Monday, the IPCC released its report, and the upshot is that we can meet the 1.5-degree target by deploying a blend of these strategies, but it basically requires us to overhaul the industrial and agricultural economies. Actually, a lot of it is simple, but it's not easy to implement, because our economy puts more value on fast cars and cheap beef than on clean air or a stable climate. But the report does identify a mechanism for getting beyond that, and it's a mechanism we've covered before: namely, making companies pay for the damages their greenhouse gasses cause -- or, as we say colloquially, "putting a price on carbon". But how much damage does a ton of carbon dioxide cause, and can we put a number on it? These are the questions an economist named William Nordhaus spent his life addressing, through economic modeling, first on a desktop computer, and then with more and more sophistication. n Monday, within hours of the IPCC issuing its report, the Royal Bank of Sweden announced that it was awarding the Nobel Prize for Economics to Nordhaus and another economist, Paul Romer, who focused on the economics of investing in education and in our collective future. To honor Nordhaus, I'm re-posting parts of two early episodes featuring environmental economist Gernot Wagner, who documented Nordhaus's quest to quantify the social cost of carbon in his 2015 book "Climate Shock".